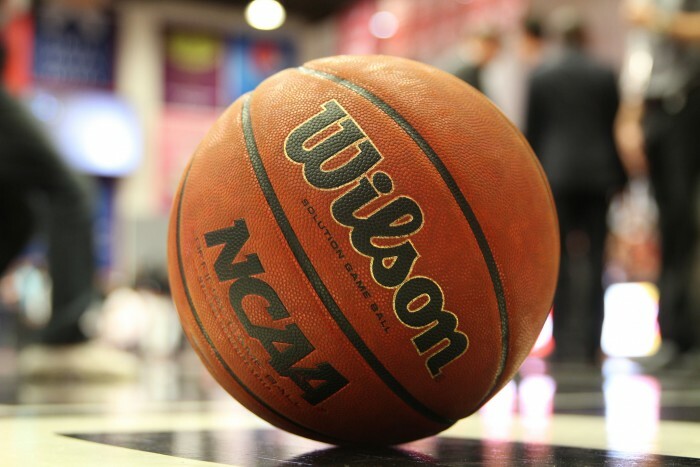 At CSUN, there are more than 365 student athletes across 19 Division I sports, but only 216 are on athletic aid, according to Julie Sandoval assistant athletic director of compliance at CSUN. How are these more than 100 student athletes chosen to continue their athletic experience into secondary education? According to the NCAA, only two percent of high school athletes will receive a scholarship to compete in collegiate athletes. While full ride scholarships cover tuition and fees, room, board and course-related books, most athletes only receive scholarships that cover a portion of these costs. Athletes also have access to academic scholarships, need based aid (federal pell grants), loans, and other NCAA financial aid resources including the NCAA Division I Student-Athlete Opportunity Fund. Almost 1,100 colleges and universities, across the NCAA’s Divison I, II and III (Division III doesn’t award Athletic Scholarships), invest an estimated 2.7 billion in scholarships for more than 150,000 student-athletes, according to the NCAA website. 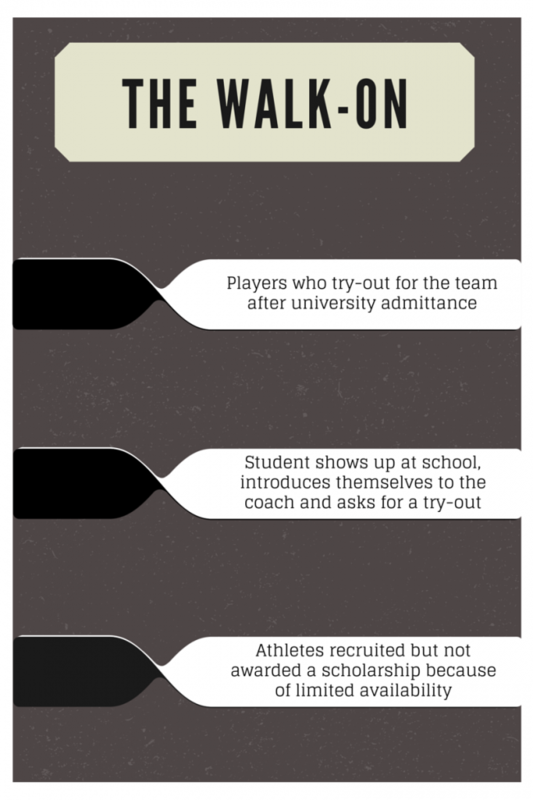 However, with more than 460,000 student athletes across 23 sports within the three divisions, what about the other athletes not receiving a scholarship? Depending on who you ask, these players are referred to as either “walk-ons” because they tried out for the team after admittance to the school, or they are non-scholarship athletes, recruited but not awarded a scholarship because of limited availability. The distinction between the two varies from sport to sport, player to player, and school to school. A true “walk-on” shows up at school, introduces themselves to the coach and asks for a try-out, Sandoval said. She cited men’s basketball senior guard Robert Cid as an example. “They didn’t know he existed before came and introduced himself,“ Sandoval said. Cid, played basketball in high school and at junior college, but always wanted to play at the Division I level, despite scholarship offers from smaller schools. 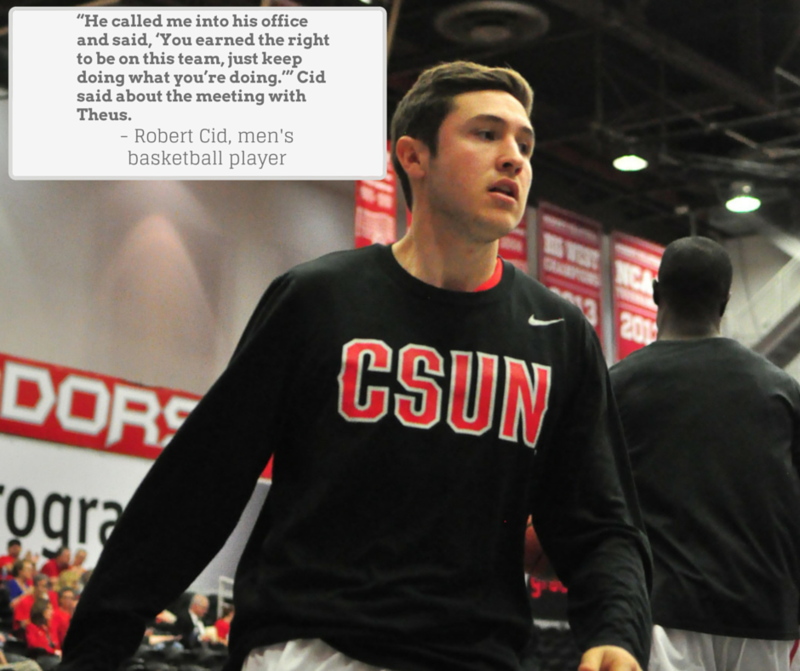 Cid recalled reaching out to a few coaches when he got to campus before the 2013 season, before attending a few open gyms on campus. After the open gyms, Cid said he was invited to a four-day training camp with the team. Slowly but surely, they kept bringing CId back and giving him a little more gear, he said. One of those signs was finally getting a Gatorade water bottle with his name on it. Eventually, he said head coach Reggie Theus called him into his office for a player meeting. “He called me into his office and said, ‘You earned the right to be on this team, just keep doing what you’re doing.’” Cid said about the meeting with Theus. As for what got him on the team, Cid attributes it to the mindset of wanting to out-work everyone, no matter-what. Currently, Cid is in his second year with the team. Last season, he was able to earn himself a scholarship. The senior did not have to try out again this season, he is not on scholarship because there was not one to offer him, Cid said. Some of the perks he enjoys includes team meals and traveling with the team, Cid said. The senior said one of his most memorable moments will be playing Louisville on National television as his family watched from home. Still, Sandoval said there was a difference between Cid and Travis Newman, senior women’s basketball guard, who came to CSUN without a scholarship before the 2013 year. “I think they knew she was coming,” Sandoval said. After spending two years at Sonoma State, she called her high school coach looking to transfer. Coming from division two, she said she knew she couldn’t get a scholarship. The only school she really considered was CSUN because of the fit and proximity to home. “I was unhappy at Sonoma, had two years left to go (in eligibility) and I wanted to play at home,” Newman said. Her high school coach then connected her with CSUN women’s basketball coach Jason Flowers whose excitement reassured her. Newman said she initially had no idea what it meant to be a red-shirt or non-scholarship athlete. 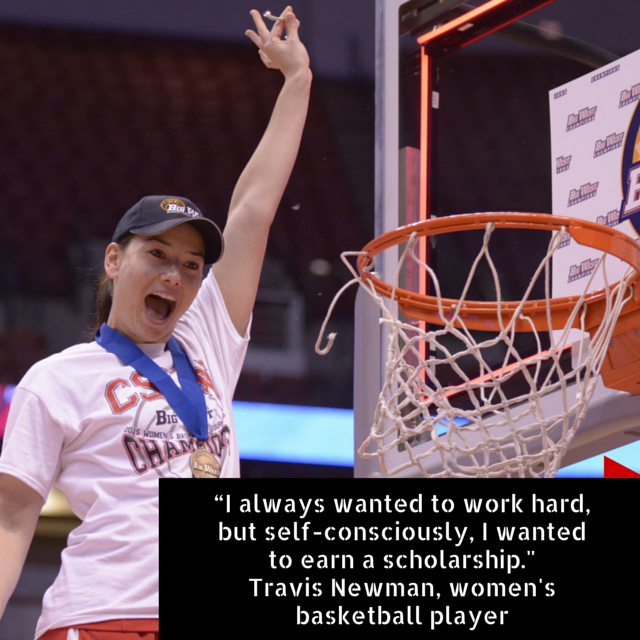 Once she got to CSUN, Newman said she never felt like anything less and felt like she could compete with girls at the higher level of competition. “No one ever treated me any different, no one even knew,” she said. The non-scholarship athlete still got all the gear and the same treatment. Her mindset never changed going from a scholarship at Division II to a non-scholarship in Division I. “I always wanted to work hard, but self-consciously, I wanted to earn a scholarship,” Newman said. She said this made her want to do the anything extra to separate herself. It worked, as the now eligible Newman earned herself aid in the 2014 season. Despite limited playing time this season, she said she has made life-long memories and friends being a part of the team. However, Kamimoto did not come to CSUN for water polo, as she did not even know there was a team. She came to the school in 2012 because she loved the campus and business department. Kamimoto remembered running into one her current teammates passing out water polo tee-shirts at freshmen orientation, and she asked about trying out. Upon further research, Kamimoto discovered the team was Division I. “I didn’t realize how good they were,” Kamimoto said. Kamimoto finally got a hold of the head coach, despite it taking a few tries. “He asked me, ‘Do you know what it takes to be a Division I athlete?’” Kamimoto said about her first talk with the coach. Kamimoto said she did not exactly know but she would give the coach everything she had. After, “an insane amount of paperwork,” she said that she was allowed to practice with the team as a try-out, and if the coach like her she could stay. From day one, Kamimoto remembers the team being supportive and friendly despite being late to and not properly conditioned to the amount of swimming that took place her first practice. She said it was even more difficult because the team had already been together and developed camaraderie and roles within their system. Still, it only took a few days before the head coach called her into the office telling her the seniors liked her and that was enough for him, Kamimoto said. “I cried and called all of my teammates,” Kamimoto said about her feelings on making the team. The students have spoken, but what do the coaches think? Find out what the coach’s perspectives in the next issue.